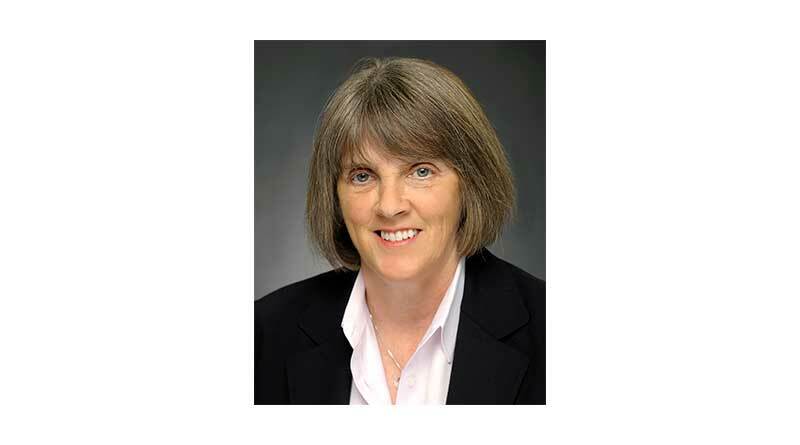 Donna Tyndall is a shoo-in for The Shelby Report of the West’s Woman Executive of the Year award as well as induction into the Food Industry Hall of Fame. Currently serving as SVP of store operations for Encino, California-based Gelson’s, Tyndall was the first woman in management for the upscale grocer. And she has taken that distinction very seriously, wanting to pave the way for other women to join her, not create roadblocks. Someone who considered a career as a teacher, Tyndall finds enjoyment in leading and nurturing members of the Gelson’s family. She definitely subscribes to the theory of leading by example, not only working long hours at her job but also giving back to charitable organizations and causes. The UCLA grad has received many awards during her 44-year career at Gelson’s, including being selected as Student of the Year in her USC Food Industry Management (FIM) Class in 1989; being named to the Honor Roll of Women by the Food Industries Sales Managers’ Club of Los Angeles (1998, 2009); receiving the Dennis Day Memorial Award from the Muscular Dystrophy Association in 2003; being honored with the Humanitarian Award from the California Conference for Equality and Justice (CCEJ) in 2010; and being inducted into the California Grocers Association Educational Foundation (CGAEF) Hall of Achievement in 2016. Donna Tyndall with her husband Mike Ketcham. Tyndall expects to put in a few more years at Gelson’s before going into the next phase of life with her husband, Mike Ketcham, who works for Albertsons. The couple enjoys domestic and international travel, their two dogs and attending food industry functions together, which, in fact, is the way their relationship blossomed. They met at the FIM Program and began going to events together as friends. They married in 1994. 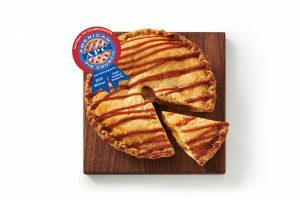 Donna Tyndall began her career with Gelson’s Markets 44 years ago as a clerk’s helper at the company’s first store, which was located in her hometown of Burbank, California. While attending college at UCLA, she continued to work in a variety of positions including checker, clerk and office cashier. After graduating from UCLA with a bachelor of arts degree, she entered management as the first female manager in the company. She worked her way up to store manager and later was promoted to supervisor of operations. After three years in store supervision, she became director of grocery buying and merchandising and was promoted to VP in 1998. Her responsibilities at that time included grocery buying, merchandising, distribution and marketing. Six years later, in 2004, she was promoted to her current role, SVP of store operations, for the 25-store chain. In addition to supporting charitable organizations like City of Hope Food Industries Circle, the Muscular Dystrophy Association (MDA), Olive Crest and the California Conference for Equality and Justice (CCEJ), Tyndall served on the board of directors for the California Grocers Association for six years (2006-12) and currently serves on the board of the Western Association of Food Chains (WAFC). 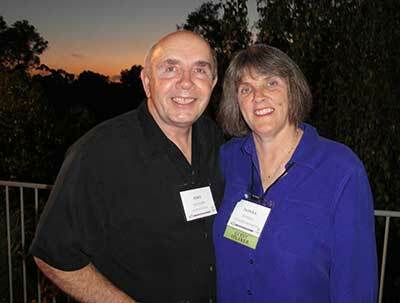 She spoke with Bob Reeves, VP-West for The Shelby Report, at WAFC’s Annual Convention in May in Palm Desert. Tell us where you grew up, how you got into the grocery business. I don’t have any recollection of this, but she told me the story that I was almost born in Gelson’s. She was shopping the day before Thanksgiving, and (founder) Bernie Gelson said, “Dorothy, you need to go home, I don’t want you to have those babies (Tyndall has a twin brother) in the store.” She said, “I must cook for my family first, and then I’ll have them after.” Sure enough, we were born the day after Thanksgiving. My fourth-grade class in elementary school took a field trip to Gelson’s, and I still remember Bob Smith, the general manager, taking us around into the back rooms, and that was exciting. I never had any inclination to get into the grocery business, but as I was growing up, my older brother went to work for Gelson’s when he turned 16 as a box boy. When I turned 16, both my twin brother and I went to the market. In those days, you got dressed up for a job interview. My mother shopped five days a week, and on Friday we would dress up and go ask Mr. Austin if he had any job openings. His first answer was, “No, I don’t have any.” A month later, he called my brother, brings him in. I was persistent and continued to ask over and over for a job. I let him know I could push shopping carts and bag groceries. And my father probably influenced him as well because my parents were shoppers there. Eventually I got the call to come to work for Gelson’s, and I started the day after I graduated from high school. I’ve been there ever since; June 1973 is when I started. But I didn’t really go there with the intention of making it a career. I was going to school at UCLA (with a tuition scholarship) but commuting, and we had to pay for our own cars and gasoline. So I thought I would just work part-time to earn some money while I was going to school, and then when I got out of college I’d do something different. I really wanted to be a teacher. I started out majoring in math because I loved mathematics and wanted to be a math teacher. After a year, I hated college math—calculus, etc. I switched over to being a geography major, and I was actually looking at something like city planning. I liked cultural geography, people, travel. Wanting to be a teacher, you could pretty much graduate with any degree in social sciences and do just fine. Were there any other women in management? None. And my answer was no, I don’t want to be the token. But after I came to my senses and thought about it for a day or two and got some advice from my good friend Bob Stiles (former president of Gelson’s), I thought why not try it? If I’m going to graduate school, it’s going to look good on my resumé and kind of break the mold. So I tried management and I realized pretty quickly that it’s a lot like teaching, and that’s what I liked about it. I loved it from the minute I got into management. From there I worked my way up, from assistant manager to eventually store manager. I was store manager in Rolling Hills, which was at that point our only store that failed. We were only open for about 15 months. Luckily, it wasn’t blamed on me. But at that time, Bill Roulette, who was our VP of operations, asked me if I was interested in attending the USC Food Industry Management Program. So I jumped at that opportunity. At that time (1988) it was a two-semester program, almost nine months. Bill had attended the first USC FIM Program in 1958-59, so he was aware of it, but nobody else from our company had ever gone. Because my store had just closed, the timing just seemed to be right. I thought, I can go to school and see what I learn. Kind of an alternative to grad school. I went to the program, and at the time there were only retailers in it; no CPG companies. There were 24 of us in the class. Dr. Jim Stevenson was the director of the program, and he let us know from day one that he would push us harder than we ever thought we could be pushed. And I definitely worked harder in that nine months than I worked through any of the four years that I attended UCLA. But it was well worth it. At the time, we were an eight-store chain, and I had no exposure to the outside world at all. So it was really good for me to see different perspectives from the larger grocery companies and even smaller companies from other parts of the United States. I met a lot of great people and learned a lot. I actually met my husband there. At the time I went to the FIM program, I was by far the youngest manager in Gelson’s and, of course, the only female manager in Gelson’s. The Gelson’s executive team, from left: Dale Brazdis, SVP-fresh; John Hammack, CFO; John Bagan, chief merchandising officer; Tyndall, SVP-store operations; Rob McDougall, president and CEO; Hee-Sook Nelson, VP of team development and public affairs; Doug Freund, VP of IT; and Tom Frattali, SVP of center store and distribution. What kind of hurdles did you find, being the first woman to be in management at Gelson’s? In our company, at least, the only way you moved up to assistant manager is you were a floor clerk first. Basically you had to be what used to be called “the pounder” on the floor. When they decided I was going to go into management, the first thing they did was make me work the floor for three months, work a section, so that I could prove to the guys that I could do it. There were a lot of people who were supportive, and there were a lot of people that were not supportive at all. I had people—guys—that would watch me when I would go up to the warehouse to pull some cases of juice or whatever off the top shelf. And they might help their buddy because it’s difficult no matter how strong you are, but they wouldn’t help me because I was female. “Let’s see if she can do it.” Well, the good thing is I was young and strong and wasn’t afraid of any challenge. I always approached it from the standpoint of you have to earn people’s respect—it doesn’t matter if you’re a man or a woman—whether that’s through hard work or through showing you know what you’re doing. It doesn’t necessarily come with the title. I had no problem doing my best to earn the respect of others, and I was pretty successful in doing that once people got to know me. …Rather than yelling and yelling at someone for not doing their job, I’d go work side by side and say, “How can we get this done?” I think that was always my approach, to work with the people. They don’t work for you; you work with them. And you’re not going to get anything done if your team doesn’t support you. So I was all about creating teams that would support me, and I was lucky to be able to do that. Absolutely. Dr. Stevenson’s leadership and organization classes, we learned a lot about how people think, how you communicate, how they communicate. I try to apply a lot of those things to the people around me. And I had some great mentors at Gelson’s. Even though there were no women mentors, Bob Stiles and Bill Roulette were great mentors in how they treated people. And they both had totally different styles. Bob was the president of Gelson’s from 1996 until 2011, when he retired with 52 years with the company. He had been my store director when I was first promoted, and then he was director of merchandising and sales. So I worked closely with him for many, many years. Bill Roulette is the one who actually came and promoted me. And then when I was a store director, I reported to him. He was the one who sent me to the FIM Program, he was my sponsor, he was there for me. He was going to make sure that I succeeded in that program as well. Why do you think Bill wanted to see you succeed so badly? 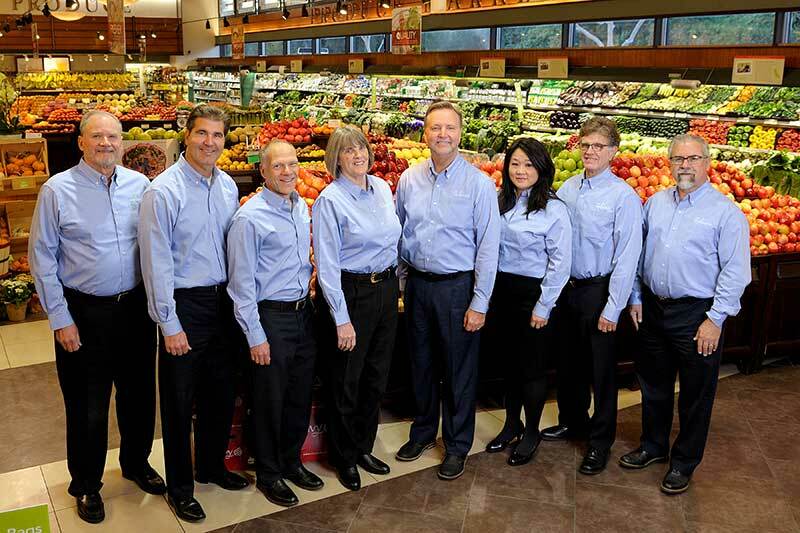 Bill always told me he saw something in me that would bring value to Gelson’s…the thought process was, most of our customers are women, so why do we have just men managing the company? We need to have a balance there. I think they saw me as someone who was very hard working and also willing to learn. I guess they saw me as a potential future leader of Gelson’s. You never had a family yourself. No, I did not…When I got into management, it was made pretty clear to me that if I had a family that would be the end of the path for me. Or at least a big diversion. That’s not why I didn’t have children; I just didn’t find the right guy at that time. We (Mike and I) definitely met later in life. But it was made clear that if you decide to take time off to have kids, that’s going to derail your career. But now, a really nice thing I’ve seen change in the industry is that women can have families. And if the men have families, they can be more involved in their kids’ lives. Back in those times the men weren’t very involved in their kids’ lives because you worked a lot of hours in the grocery business. That’s totally changed. Mike is just the nicest person; you get me all choked up thinking about him. He’s very thoughtful. He’s funny, he’s got a corny sense of humor. Always smiling. I remember when I first met him at the USC program, his license plate frame said, “Oh, well.” That was kind of his attitude toward life; bad things happen, oh well, you pick up and move on. It’s a great attitude. He’s just a great partner, supportive of me. After I got out of the FIM Program, I was in operations; I got promoted to supervisor of operations. I did that for three years or so, and then I had the chance to take over buying. Mike was a buyer at Lucky, and I didn’t really think I would like buying at all. But I called him up for some advice, and he said, “You know what, do it. It would be good for you to broaden your horizons.” Well, I got into buying, and I absolutely loved it. But he has always supported me. From the time we first became good friends in the program and even after, it was great to have someone in the industry that can come to functions with you and knows a lot of people. It makes it a lot of fun. Because our companies never really competed that closely, whether it was Lucky or Albertsons, up until recently we didn’t even have any stores near an Albertsons. So there was never really a conflict. And we both work so much, we don’t want to come home and talk about the grocery business. We got married in 1994, and I didn’t take his name partly because we were both in the industry at the time. It’s a lot of trouble, especially as you get older, to change your name. It was kind of amusing for the first 10 years or so because people didn’t know we were married because we had different names. What kind of eccentricities do you have? I have a reputation for having a really messy desk. I guess you’d say I’m a multitasker; I always have a lot of things going at one time, and I have a lot of piles on my desk. But our CEO was just saying yesterday, telling somebody about this. He said, “I wouldn’t recommend that anybody keep their desk like Donna does, but whenever I go in and ask her for anything she knows exactly which pile it’s in and how far down the pile it is.” So I probably keep too many things, too many papers, but having been around a long time, I find it’s helpful to keep information from the past that I may want to reference, and because I’m working on a lot of things at one time, I would probably be more efficient if I finished one before going to the next, but that’s the way to get a lot of things done. When I first started in supervision, our controller at the time had been with us 40 years. He was a friend of Bernie Gelson’s; they had come out from Sioux City, Iowa, together. His name was Paul Matlin. I went into his office and it was like that. It looked like a disaster, but he knew where everything was. So as time went on and I got into a more executive role, he retired, but whenever I see him, it’s like, you’re my idol; I modeled myself after you. Others may have clean desks, but not me. Have you ever had aspirations of running the company? It’s funny. I used to want to be the president of the company and run the stores. But the company has changed. We’re much bigger, to begin with. We’re run by TPG (a global private investment firm, since mid-2014), so I see Rob’s (McDougall) role as CEO as more of managing the business, and I feel like in my role as SVP of operations I get to manage the people, and that’s what I like to do. I don’t want to be too far removed from the stores and the people. The nice thing about TPG is they’ve maintained the Gelson’s management team; we still run the stores. But they’ve provided us with the financial backing to be able to grow our company. We bought eight of the Haggen stores. Just prior to that we were able to open up Long Beach and La Canada Flintridge, adding two new stores, and we hadn’t done any new stores in about 14 years. It’s been a great change for us. I want to go back to being a mentor to women reading this story. You were single and had desires to be in management, grow with the company. Did you just make this your life? Pretty much, yes. I worked really long hours, especially when I had my own store as a store director. I moved out to Torrance to be nearer to the store. Oftentimes I would get the alarm at 2 in the morning to go in and see what happened with the refrigeration or whatever it was. But I was willing to commit at least a portion of my life to making it work. I did feel a responsibility if I was going to be the first—and at that point the only—female in management at Gelson’s; I didn’t want to blow it for everybody else by not doing a good job. When you get the grocery business in your life, you expect long hours. It’s funny, we’ve had some conversations recently about the Millennials and how they look at life differently. They might want a six- or seven-hour workday, and to me, that’s a half-day. If I work an eight-hour shift, that’s a half-day. You just expect to put in long hours. Especially at Gelson’s, it’s all about attention to detail, and if you are going to have that attention to detail, you’ve got to put in a lot of time and effort to make it happen. So when you’re hiring people now and they tell you they’re not going to work past 5 o’clock or whatever, do you just say, well, we’re the wrong company for you? I think we have definitely relaxed our standards because, I kind of alluded to it earlier, that the men have a different perspective as well. It used to be that the men were willing to put in long hours. A lot of them aren’t doing that now because they want to be there for their kids and, frankly, we want them to because they’re going to be better contributors to the company if they can have that balance. It’s just a matter of each individual trying to figure out how to make it work. Tell me about the next five years for you. I am coming up on 62; I hope 10 years from now I’m not working. But I’ll probably still be working five years from now. I like developing people, so besides the fact that I want to continue to see our company grow—we did open seven stores last year, we’re going to have two more this year and we know at least one the next year—I want us to get better with those openings. We haven’t done that in such a long time that there’s a little bit of a learning curve, but mostly it’s to develop people to have in place when I do decide to retire. And to me, that’s the most rewarding thing in my job, to look around our company and see all the people that worked for me in the stores when I was an assistant or a store manager and are now in key positions in our company. And just hoping I’ve been able to contribute something to their success. I do believe in that old “management walking around and interacting with your people.” We do a lot of ride-alongs with various levels of management, go out to stores so we can just see stores together, whether it’s our competition or our own stores. Let them know what I expect and see something new from their eyes that maybe I didn’t see. Gelson’s has always been like a family, and the nice thing is everybody supports each other like a family. I think I am lucky in that sense. Our average tenure with all of our employees is over 24 years. I don’t think that’s true in any other company. Yeah, you devote yourself 24/7 to the company, but it’s really also your family. I’ve made a lot of good friends at Gelson’s and in the food industry. *Editor’s note: Find the complete special section about Tyndall, and more photos, in the August 2017 print edition of The Shelby Report of the West. Congratulations Donna, really proud of you and all you have accomplished . Nice to hear good things about a co-worker and friend. Congratulations Donna, you certainly deserve all the recognition and praise! You have always been a hard worker and an extremely nice person to deal with in all aspects of the food industry!!! Not the slightest bit surprised! A phenomenal woman! Thank you, Donna Tyndall, for being such an amazing mentor to all who have had the pleasure of simply knowing you!